Participated as extern in Mexico with the Supreme Court of the State of Morelos in the criminal trial court system. If you have a case involving an auto accident or personal injury, I would like to help you. I practice law in the greater San Diego area, including Chula Vista and the south county, El Cajon and the east county, as well as Oceanside, Vista and the north county. In addition to injury cases, I represent individuals who have been paid less than the required minimum wage, have not been paid overtime, or have been prevented from taking their meal breaks, and handle Contract and Sports law issues. Hablo español para los que quieren un abogado con quien puede hablar en su idioma. 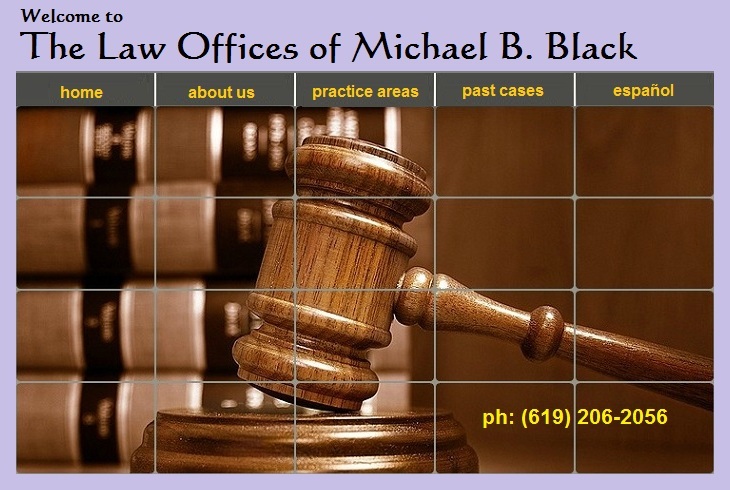 Please call me for a free consultation - there is no obligation.